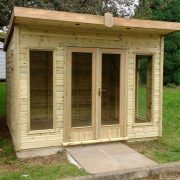 A premium summerhouse with a pent single sloping roof. 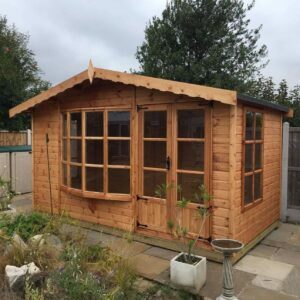 The Uppingham has thick framework & pressure treated cladding with the option of double glazing and insulation. 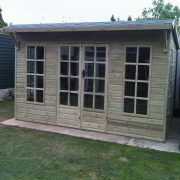 or with a classic looking dropped front roof overhang. 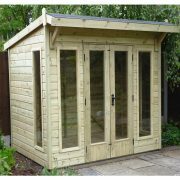 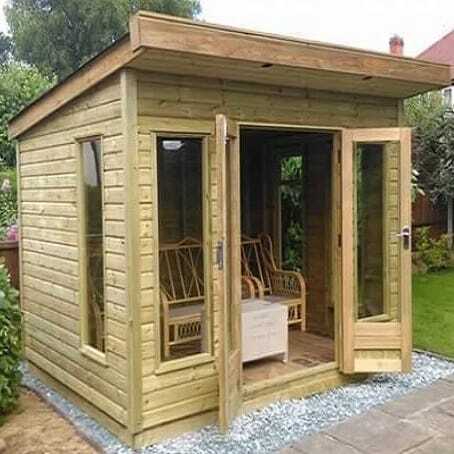 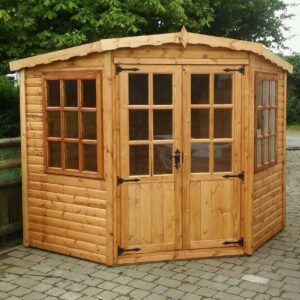 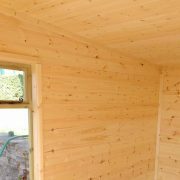 It is a premium summerhouse with thick framing & pressure treated cladding. 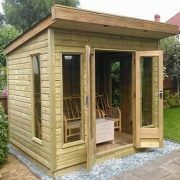 Has the option of upgrading to double glazing and insulation for that all year round garden room. 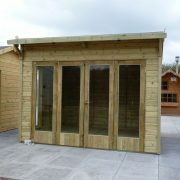 Tall 1.95m internal rear eaves height.